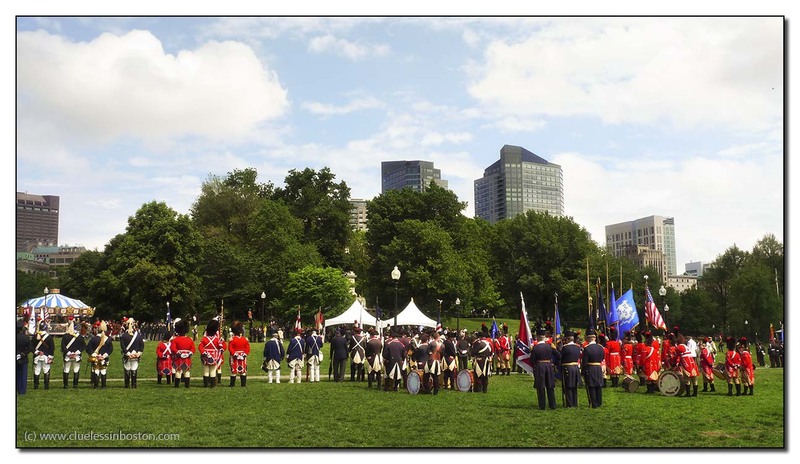 The Ancient and Honorable Artillery Company of Massachusetts conducted an exercise on the Boston Common yesterday afternoon, accompanied by other military units, past and present. This company was chartered in 1638 and was the first chartered military organization in the Western Hemisphere. 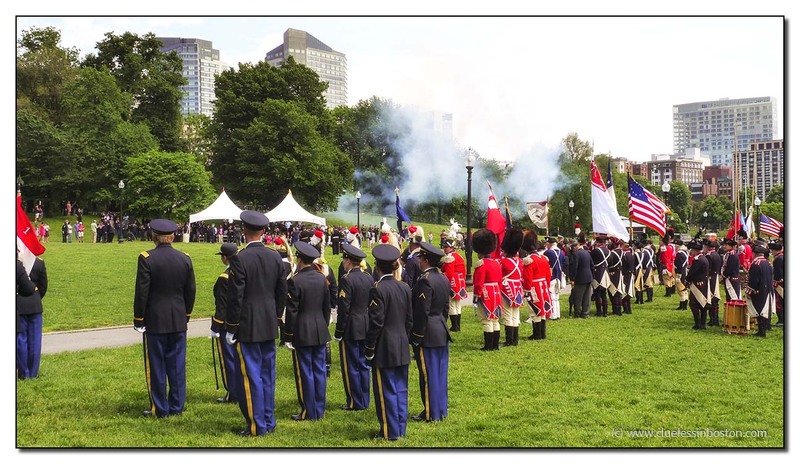 The Ancient and honorable Artillery Company serves as Honor Guard to the Governor of Massachusetts, who serves as its Commander in Chief. In the picture above you can see the smoke from the cannons after firing off a couple of volleys. No doubt they have strong links to the Honourable Artillery Company in the British Army, started in 1537 by Henry VIII. An artillery company that is in fact an Infantry regiment. Interesting to see all those different uniforms! What a beautiful and special event!Your pictures are wonderful! I also love the beautiful uniforms! Very colorful. Odd seeing people in these old uniforms in front of that modern skyline.